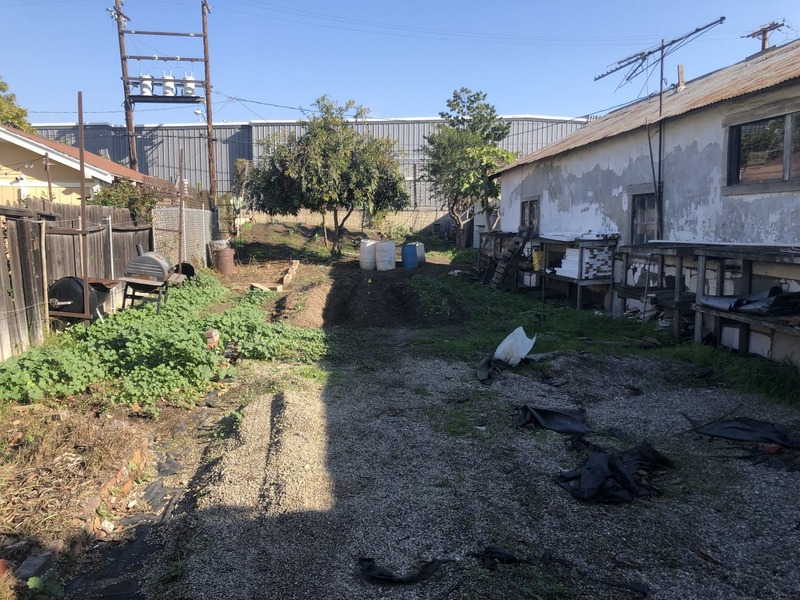 Gladys Ave Urban Farm in Long Beach's Zaferia neighborhood is undergoing a revitalization and is one of the project sites for Leadership Long Beach's "Day On, not a Day Off" event as part of Martin Luther King Jr.'s National Day of Service. Photo by Stephanie Rivera. 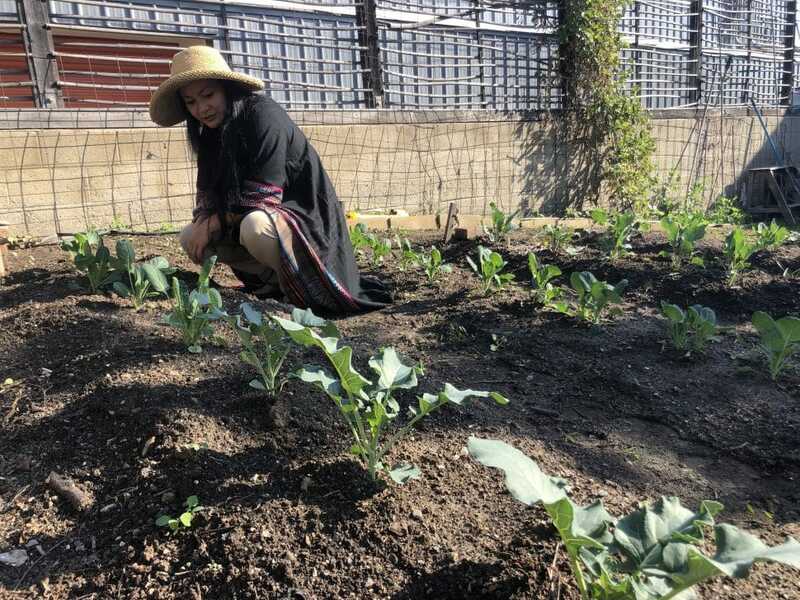 For years, an urban farm in Long Beach’s Zaferia neighborhood supplied organic produce to a grocery store-starved community and served as a garden for area preschoolers. The Gladys Avenue Urban Farm even provided crops to restaurateurs, including the famed LA based Le Comptoir and Long Beach’s own Primal Alchemy catering company. But when its owner, noted oceanographer Charles Moore, had to sell the property in 2014 to fund his marine conservation efforts, the new owner let the farm fall to the wayside—and even considered turning it into a parking lot. “The new property owner didn’t know what to do with it,” said Laura Som, director of The MAYE Center just a few blocks from the garden, who is now in charge of the land. In November, the owner agreed to lease the farm to The MAYE Center, a holistic healing center, so it could be restored to its previous version. For Som and the center’s other members to do that, they first need a little help from the community. Laura Som, director of The MAYE Center, inspects plants at Gladys Ave Urban Farm in Long Beach’s Zaferia neighborhood. The farm will be a satellite garden for the center and is one of the project sites for Leadership Long Beach’s “Day On, not a Day Off” event as part of Martin Luther King Jr.’s National Day of Service. Photo by Stephanie Rivera. On Monday, Jan. 21, those interested in helping can sign up through Leadership Long Beach’s annual “Day On, not a Day Off” event in honor of MLK National Day of Service. A total of 16 work service projects are available for volunteers to sign up for, and most are family-friendly. It’s the organization’s largest number of projects since it started the event nine years ago. At Gladys Avenue Urban Farm, volunteers will pull out weeds, plant vegetables, build a farm stand, build irrigation and make the garden an overall safe space where preschoolers will be able to learn about growing organic vegetables. There are many plans for the farm, which Som would like to see up and running by this spring. With partners like the social enterprise Our Foods as well as the nonprofits, Long Beach Organic, Long Beach Time Exchange and Algalita, Som said the group hopes to make the garden a science lab. She envisions a garden aquarium where children will be able to see roots grow and understand the importance of space and compatibility among plants as well as an aquaponic fish farm. About 16 different vegetables are expected to grow from the land, and low-income residents in the surrounding area will get first dibs in buying the produce. Som said they will be able to buy the fresh food, which will be for sale below market value, with food stamps. 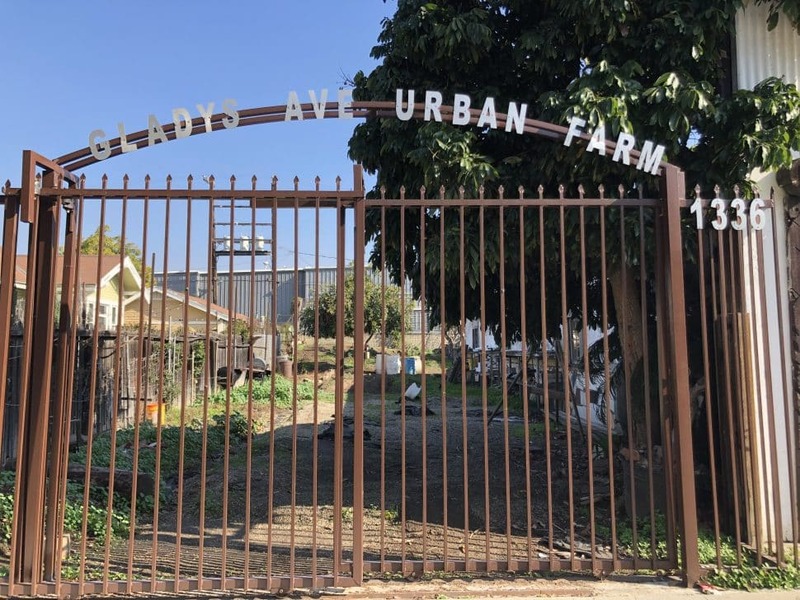 Gladys Ave Urban Farm in Long Beach’s Zaferia neighborhood is undergoing a revitalization and is one of the project sites for Leadership Long Beach’s “Day On, not a Day Off” event as part of Martin Luther King Jr.’s National Day of Service. Photo by Stephanie Rivera. A 1,000-gallon rainwater capture system, compost storage area, food stand, and workshops are in the works as well. The MAYE Center, which is about six blocks west of the urban farm in Cambodia Town, will also be the site of a service project. At that location, volunteers will pull weeds, build potato planters, build ponds, paint on a fence, draw, create garden signs and plant flowers. Som said it’s part of a redesign of the center’s current limited outdoor space into a garden where clinicians can conduct therapy and community members can socialize. Many of the center’s members include Cambodian refugees with post-traumatic stress disorder caused by the Khmer Rouge’s genocide of its people in the 70s. Som hopes to provide outdoor counseling to the community members who may not be used to a Westerner’s style of therapy. To make room for the therapy space a 10-feet by 15-feet area of plants will move from the center to the urban farm, which will also serve as a satellite garden. All Leadership Long Beach projects will begin with a kickoff rally at 8 a.m. at the North Long Beach police station at Scherer Park, at the corner of East Del Amo Boulevard and Atlantic Avenue. It will feature a welcome speech by city leaders at 8:30 a.m. At 9 a.m. volunteers will disperse to their project sites. To see the full list of projects and to register click here. The Arts Council for Long Beach will also be holding a Day of Service project in partnership with Councilwoman Lena Gonzalez’s office. Volunteers will do some cleanup and paint a mural at Peace Park, 1411 Atlantic Ave., from 9 a.m. to 5 p.m. These activities are open to all ages. The mural, titled “You Are Free,” was created by students in the United Cambodian Community’s Living Arts project and led by Leadership Long Beach alumni artist Sayon Syprasoeuth. For more information visit artslb.org.